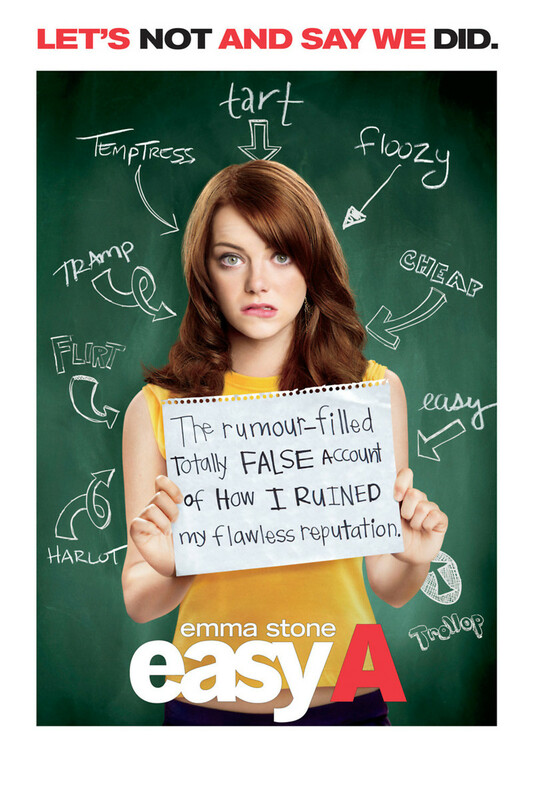 Easy A DVD and Blu-ray release date was set for December 21, 2010. Olive is a clean-cut girl and a good student, but when someone starts a rumor that she lost her virginity, her reputation changes overnight. At first, this is devastating to her, but she begins to see it as an advantage, and young men who are ridiculed for their continued virginity pretend to have lost it to her. Hence, she is able to improve their social standing, as well as her own ultimately. Drawing much inspiration from the classic Nathaniel Hawthorne novel "The Scarlet Letter," it focuses on the cruelties of modern high school life and the pettiness that plagues students and even their teachers. Olive's sexuality becomes a topic of discussion that launches a school-wide conversation on sexual issues that is ultimately liberating to everyone.